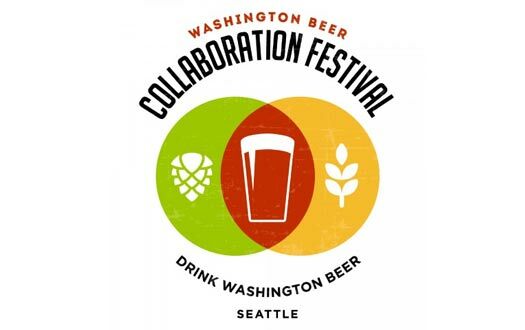 We are now less than one month away from the Washington Beer Collaboration Festival. The event happens on Saturday, August 19th and feature beers from 50 different Washington breweries, including 25 unique collaboration beers. Along with that, local food trucks will keep you nourished. We share the list of breweries, and the collaborative pairings, below. Also, other event information. All of the breweries are from Washington but many of them are not commonly seen around the Seattle area: breweries like 54-40 Brewing from Washugal, Ashtown Brewing from Longview, Wadell’s Brewpub from Spokane, Stormy Mountain Brewing from Chelan, and others. The event takes place in downtown Seattle at the South Lake Union Discovery Center. It’s an outdoor event and takes place on the expansive lawn surrounding the Discovery Center. Additional tokens available to purchase for $2.00 each or three for $5.00. Separate tickets required for each day. 21+ only. No dogs. Registered service dogs ok. Cheers to our beautiful and talented sponsors, like….